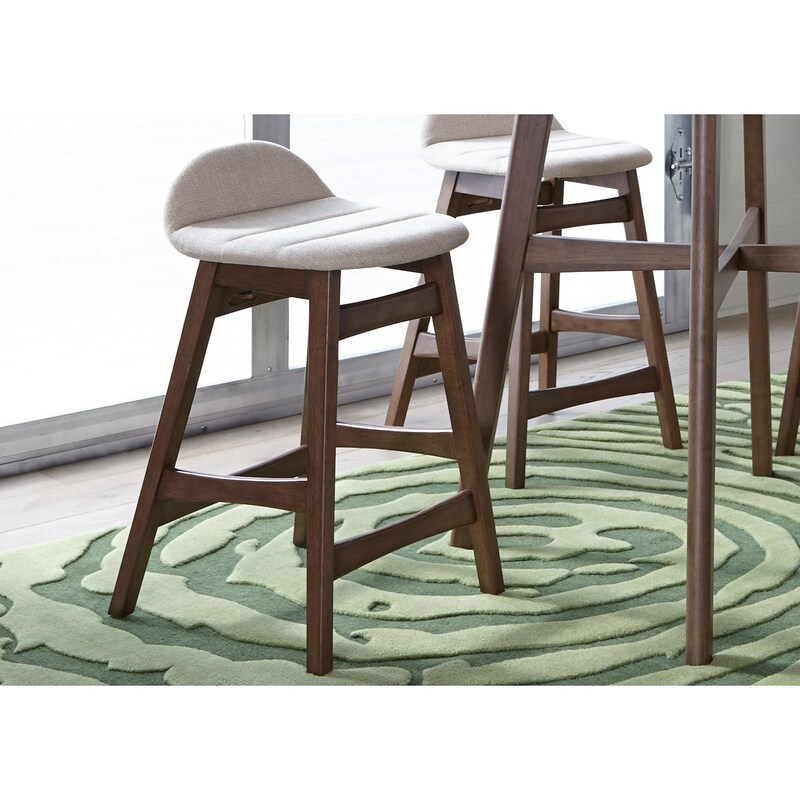 This mid-century modern styled barstool is both stylish and functional, with comfortable linen upholstered seats that feature Scotchgard fabric protection, and with stretcher supports that double as footrests. 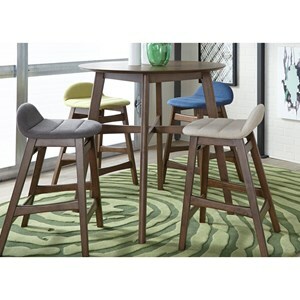 The walnut veneers, tapered legs, low back, and colored seats make this barstool a beautiful addition to your dining space. 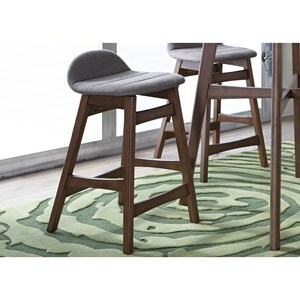 The Space Savers Barstool with Upholstered Seating by Liberty Furniture at Hudson's Furniture in the Tampa, St Petersburg, Orlando, Ormond Beach & Sarasota Florida area. Product availability may vary. Contact us for the most current availability on this product. 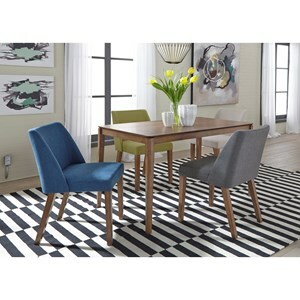 Perfect for small spaces, this mid-century modern dining collection features many space saving pieces. 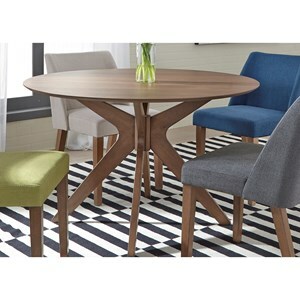 This collection is constructed from Rubberwood solids and cathedral walnut veneers, with a satin walnut finish. 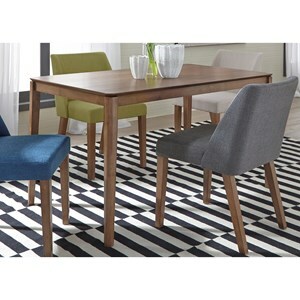 The tapered angled legs and bright linen upholstered seating throughout this collection make for a beautiful addition to your dining space. 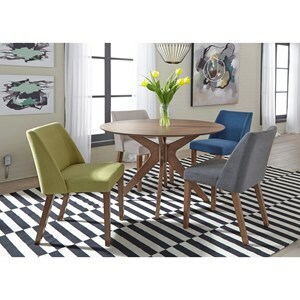 The Space Savers collection is a great option if you are looking for Mid-Century Modern furniture in the Tampa, St Petersburg, Orlando, Ormond Beach & Sarasota Florida area. 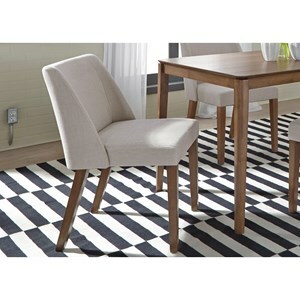 Browse other items in the Space Savers collection from Hudson's Furniture in the Tampa, St Petersburg, Orlando, Ormond Beach & Sarasota Florida area.